Good morning, peeps! Today was one of those mornings when you wake up and are in an awesome mood. Gosh I wish that happened everyday. Every single day. This week flew by and I had planned to do another post with vacation photos, but decided to save that for another time. I don’t know about all of you, but this summer is just flying by. I’m trying to get all the sunshine I can out of it, so this week I did all the things you dream about on a cold, snowy winter day. If you haven’t had the time to savor summer, make the time. No excuses. Just do it! Last Friday I mentioned I was at the lake. I was with some amazing friends from college celebrating life, summer and old times. Our crazy group gets together every summer at one of the guy’s cabins and has a blast. 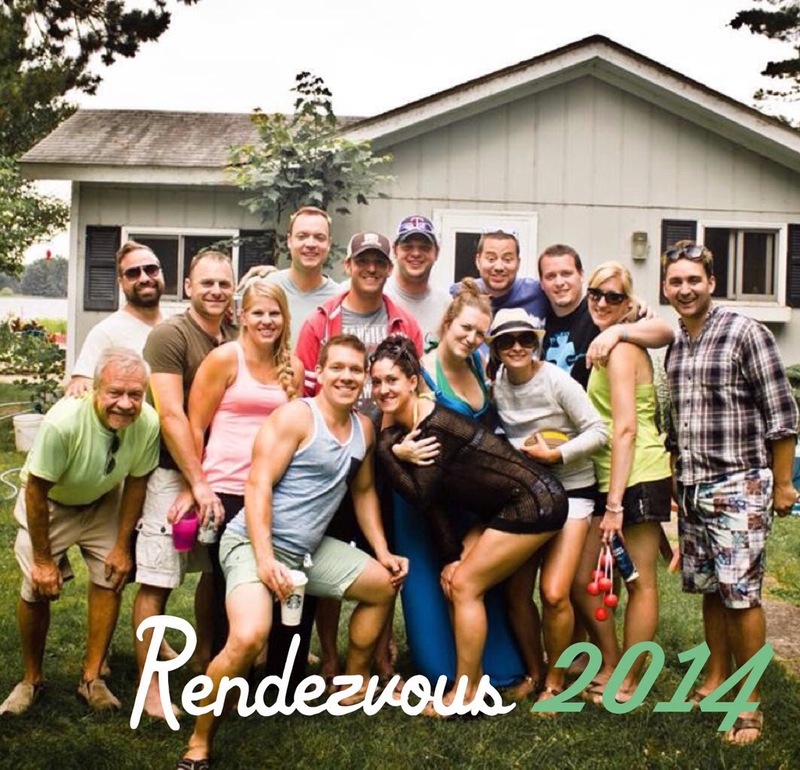 While we see each other a few times throughout the year, this summer weekend known as Rendezvous is one everyone makes unless they’ve just had a bundle of joy. My sister was home from Texas where you cannot step outdoors without sweating a gallon and frizzing up the hair from the humidity. She came to Wisconsin to stay cool! Of course what do you do in the summer in Wisconsin…well many people visit what claims to be the largest water park in America-Noah’s Ark. 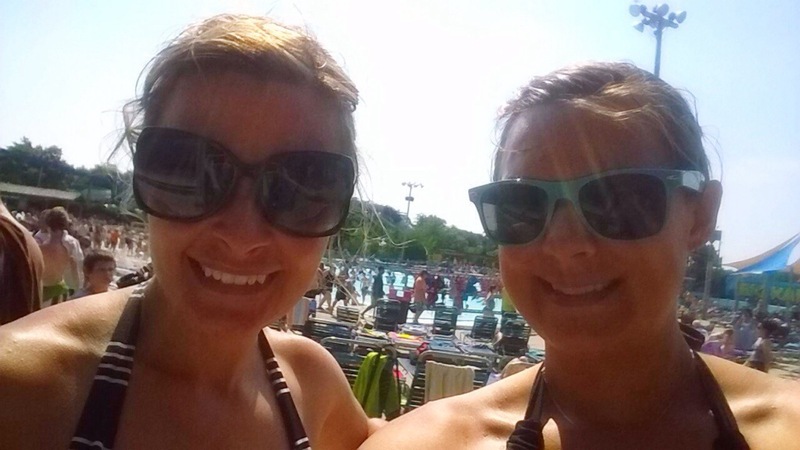 Water slides galore, sunshine and fun. It was a perfect way to spend the hottest day our area has seen this summer-88. I've mentioned Pettibone before as a place to run in La Crosse, but it also has a beach frequented during the summer months. For the husband’s birthday on Wednesday we wanted to be outdoors and near water so we headed to the beach with my family. After some beach time we met up with friends and boated on the Mississippi River. 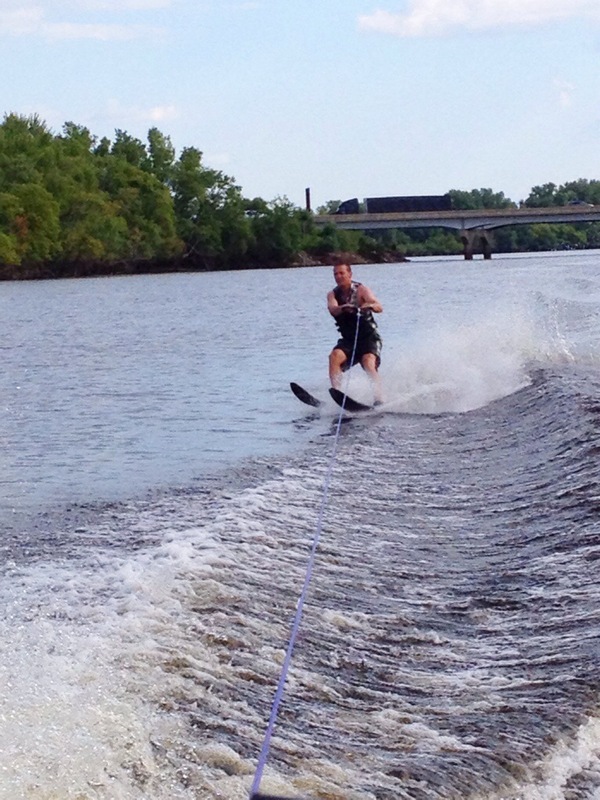 A bunch of people water skied, while I simply relaxed on the boat. I just wasn’t feeling the water that day. It might have something to do with the gnat bite I got on my left eyelid that made my entire eye swell shut, made my eyebrow look like a Botox injection gone wrong, and gave me the puffiest under eye I’ve ever seen. It is still swollen today, but is getting better. Or maybe I was just lazy that day. Way back in February the husband and I registered for this race for our Valentine’s Day gift to each other. Nothing says love like running a race together. 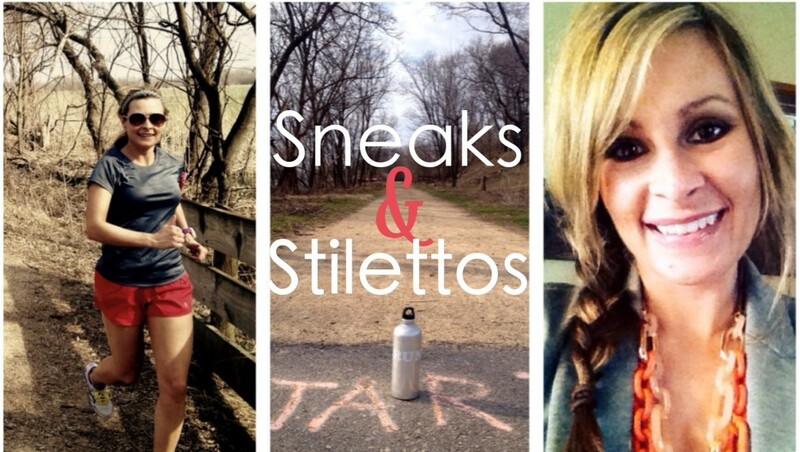 I had dreams of racing this 10k, but as the legs let me know on a run yesterday-WE ARE STILL RECOVERING. DO NOT MAKE US RUN REALLY FAST. They spoke loud and clear, so I guess I will probably listen. We are headed to Chicago as I type to run this race tomorrow morning. I love Chicago. I love the Badgers. It’s a perfect match…me and the husband that is. Then it’s off to another iconic summertime tradition in Wisconsin-summer weddings. Anyone racing this weekend? What is your summertime fun? Thanks! It was a lot of fun seeing everyone representing their favorite Big Ten schools, and running a 10k was refreshing after so many long races recently. Plus it got me super pumped for football season! Looks like you are having a fabulous summer!!!!! 🙂 I hope your race went well!